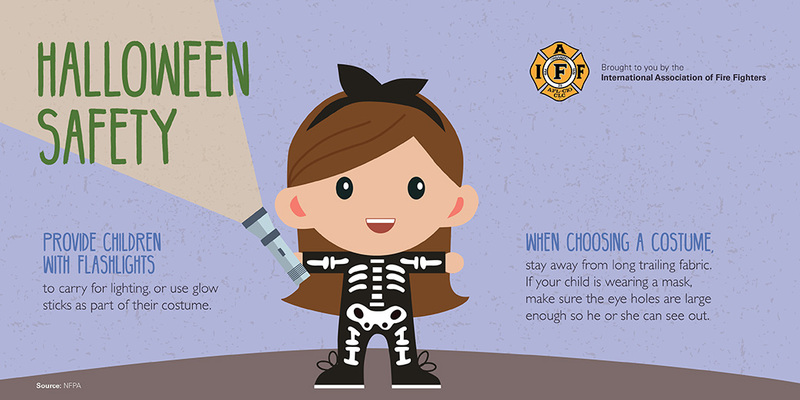 OSWEGO – Halloween is a highly anticipated night for families and children, but also one of the most dangerous. 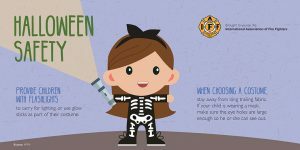 According to Safe Kids Worldwide, on average, twice as many child pedestrians are killed while walking on Halloween compared to any other day of the year, and more than 70 percent of accidents occur away from an intersection or crosswalk. 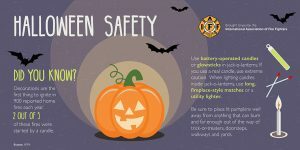 “These are scary statistics, but by taking a few simple precautions, you can ensure ghosts and goblins of all ages have a safe and fun-filled Halloween,” said Oswego Fire Chief and Emergency Management Director Randy Griffin. • Stay Visible: Bring flashlights, glow sticks and reflective goodie bags. • Use the Sidewalk: Stay on the sidewalk and off the road when going house to house. • Use Cross Walks: Never cross in between parked cars, use the crosswalks. • Be Fire Safe: Use glow sticks or battery powered lights instead of candles. • Smoke Alarms: Make sure smoke alarms are in good working condition. • Stay Alert: Report suspicious behavior to authorities. Residents are reminded to call 911 for any emergencies.